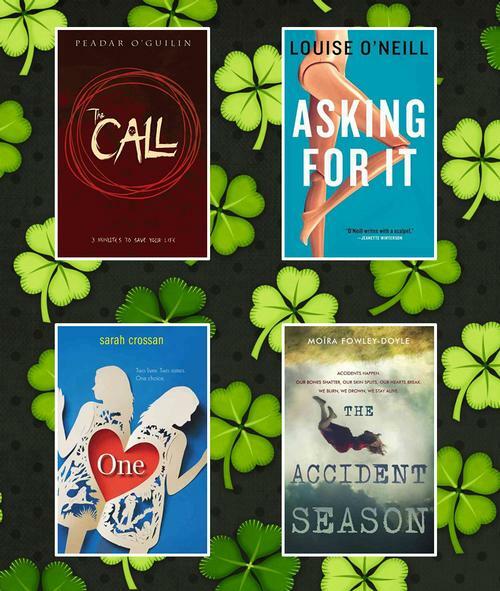 Celebrate St. Patrick's Day with some Irish YA Lit! For the last twenty-five years, every teenager in Ireland has been subject to "the call", which takes them away to the land of the Sídhe, where they are hunted for twenty-four hours (though only three minutes pass in this world). Handicapped by her twisted legs, Nessa Doherty knows that very few return alive, but she is determined to be one of them. This is quite literally one of the most twisted, most thrilling, most... just MOST novels I’ve read in a long time. 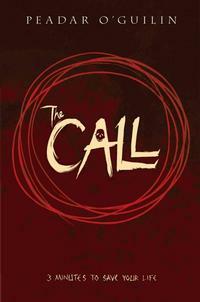 So if you like a little supernatural weirdness with your violence, this one is definitely worth picking up. It's the beginning of the summer in a small town in Ireland. Emma O'Donovan is eighteen years old, beautiful, happy, and confident. One night, there's a party. Everyone is there. All eyes are on Emma. The next morning, she wakes on the front porch of her house. She can't remember what happened; she doesn't know how she got there. She doesn't know why she's in pain. But everyone else does. Photographs taken at the party show, in explicit detail, what happened to Emma that night. But sometimes people don't want to believe what is right in front of them, especially when the truth concerns the town's heroes. There is no perfect victim, there is no perfect hero, just a very disturbingly well written (and award-winning: Hello, Michael L Printz Honor medal! Hey there, Irish Book Awards! ) account of an all too familiar scenario. The "accident season" has been part of seventeen-year-old Cara's life for as long as she can remember. Towards the end of October, foreshadowed by the deaths of many relatives before them, Cara's family becomes inexplicably accident-prone. They banish knives to locked drawers, cover sharp table edges with padding, and switch off electrical items, but injuries follow wherever they go, as the accident season becomes an ever-growing obsession and fear. But why are they so cursed? And how can they break free? This book is lyrical and beautifully written, which means it's a little slower, but also a nice slow burn... and I'm not even trying to ruin the ending for you! Despite problems at home, sixteen-year-old conjoined twins Tippi and Grace are loving going to school for the first time and making real friends when they learn that a cardiac problem will force them to have separation surgery, which they have never before considered. Everyone loves a conjoined twin story, right? And it's another Irish YA award winner—this time the Carnegie Medal! So there is a lot of great fiction coming out of Ireland, just a ton of great writing. The best writing, just some amazing words even. So if the Erin Express and other revelry aren’t quite your thing, you can still feel a little festive with one of these awesome novels by Irish writers for young adults. Did I miss your fave? Let me know in the comments! 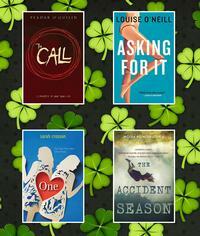 Add a Comment to Celebrate St. Patrick's Day with some Irish YA Lit!